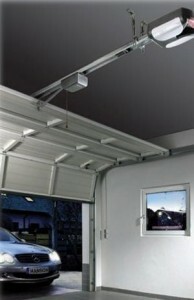 Home » Blog » Should You Repair or Replace Your Garage Door? While your garage door is designed to bring you years of reliable performance, just like every other piece of equipment it will ultimately have to be replaced. But how can you tell whether or not you’ll be better served with a repair or a garage door replacement? The experts with Action Garage Door would like to share some tips that can help make that decision easier. If the door simply stops working all of a sudden, you’ll probably be fine with having a professional come to your home and perform a repair. Also, if it feels “heavy,” that could just be a sign that it has an alignment problem that can be fixes relatively quickly. More than likely the springs don’t have enough tension. In some instances, a panel may be damaged. It may have been scratched or dented and is starting to show rust. This is an area where an expert needs to be called in. You may be okay with just having the panel itself switched out. However, if the panel is weak or more than one panel has been affected you could be at risk for safety issues. In that case, you’d need a garage door replacement. Minimal scratching, denting or warping is not a reason, of course, to have garage door replacement performed. But if the dents are bad or you see deep scratches, then a replacement may be in order. Serious wear and tear, again, would be a safety issue that has to be addressed as soon as possible. If you have any questions as to whether you’d be better of with a repair or you need garage door replacement, the professionals with Action Garage Door will be glad to help. Give us a call at 972-215-7906 or contact us online and we’ll be glad to take a look.